Iona House in all its glorious Kodak Instamatic colour. There’s the old bank/playhouse on the left. Looks like we had visitors that day. They certainly got the contemporary statement. I’ve always been curious about the red and blue of the house. Tones of red and blue. 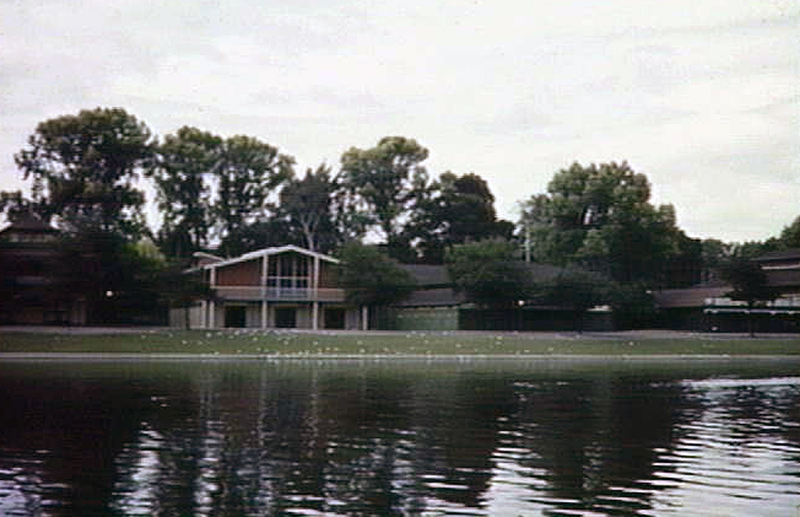 Checked with my mother Hayden and she thinks the original colours of the house were influenced by the colour of the Melbourne Grammar Boat House built in 1953 by architects Mockridge Stahle & Mitchell. And then John Davidson lets me know that John Mockridge was one of his tutors at university. Spots of red and blue bouncing around here. I like the way Benny the dog matches Amanda’s furry collar. That last photo is priceless, even without the fur collar on the sweater (although I love that too). I’ve enjoyed seeing this house through your adult eyes. It appears to have had quite an impact on you, both in the design sense as well as memory. My grandfather ran a furniture store, and we always had contemporary pieces, mixed with traditional. I found some of his “sample room” slides once–gave them to my nephew (who runs a mid-century furniture business). After seeing your Kodak pictures, I wish I’d kept them! I was fascinated to stumble across this house and read the reference to my Dad’s firm, Mockridge Stahle & Mitchell. (My Dad was the Stahle, and my uncle was the Mitchell). 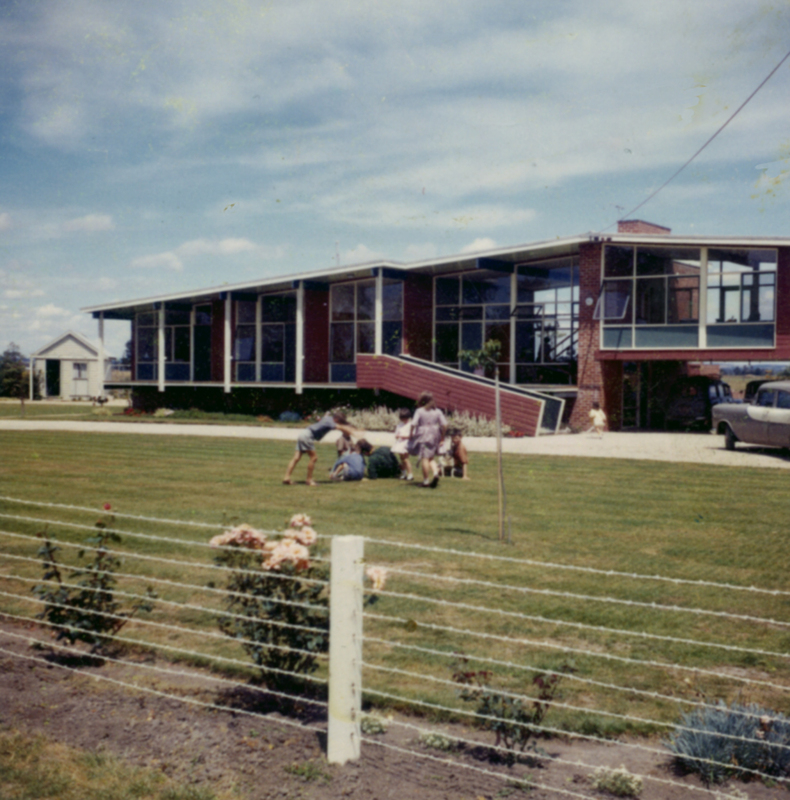 I live in a house designed by the firm (specifically, by John Mockridge) back in 1958. Our house was also originally painted Boathouse Red. 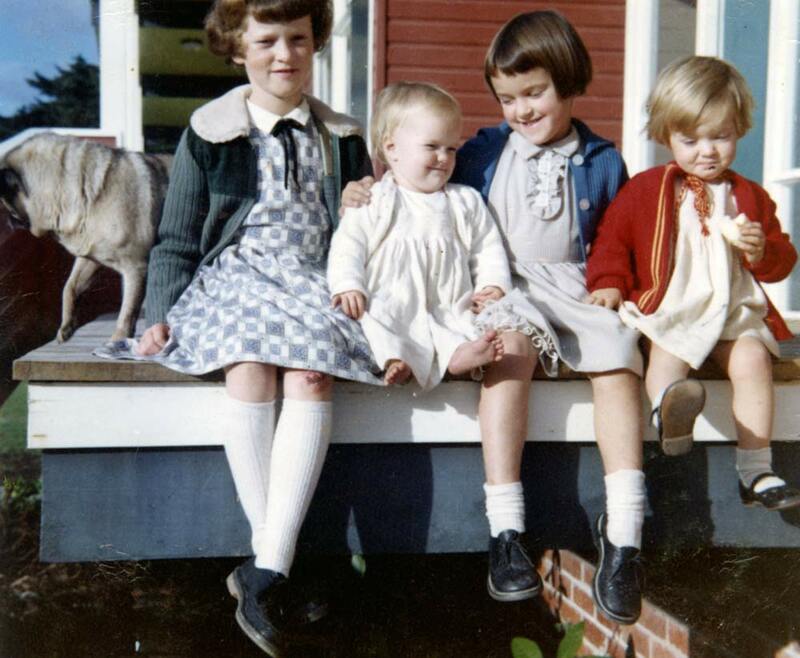 Really love the pics of your old family home. Is it still standing? ?